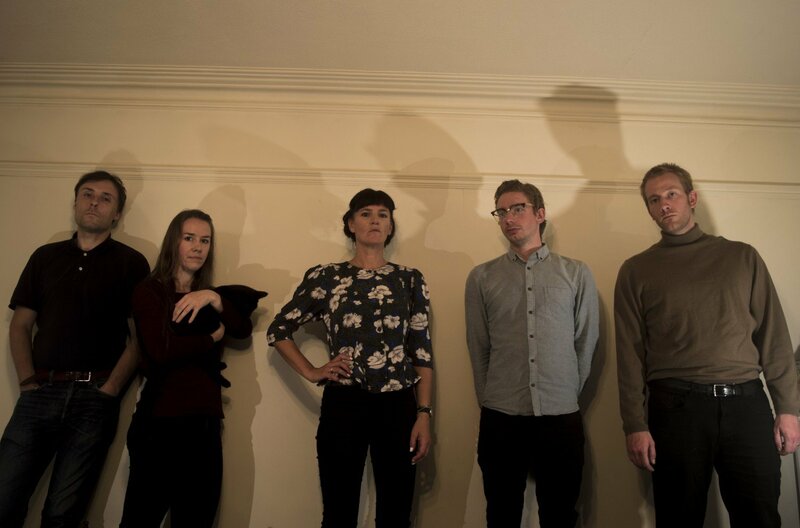 THE PLAN has been described as ‘Talking Heads meets the Breeders’ but debut album Nervous Energy (13th October, Southend Records) takes the band in a more progressive and experimental direction. Post-punk in origin but with overtones of no wave, psych and garage rock, the record flaunts its flexibility with a mismatch of emotions. Nihilism, humour and pure joy compete and collude with an overriding positivity carrying all songs. Song themes shape-shift across the record; subjects range from childhood memories (“‘The Wall‘ was triggered by the memory of throwing a tennis ball against a brick wall at primary school for hours”), romanticising about natural, local luxuries (‘Abbey Wood‘), abandoning inhibitions and jumping straight into the unknown (‘Pier Party Nerves‘), “the conflicting desires of wanting a nice, quiet, controlled and peaceful life but at the same time harbouring after extreme chaos and instability” (‘Bright Lights‘), and the simple joys of being a parent (‘Chorus’). The band has varied tastes but share a love of post-punk greats like Talking Heads, This Heat, Wire, The Fall, as well as slightly lesser-known punk/post-punk/alternative classics like The Prats, Country Teasers, Male Nurse, Yummy Fur, Fire Engines, mixed with a desire to throw in big ESG-style dance beats and pop hooks like genius Kim Deal. THE PLAN all live in Southend-on-Sea, flourishing on its beach life and doing their bit to secure its reputation as the ‘cultural capital’ of Essex.